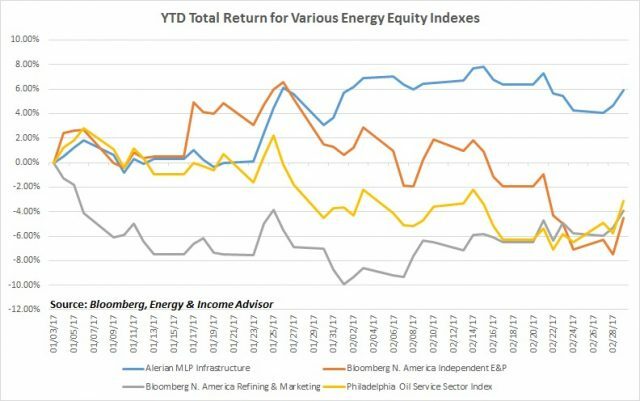 Among the energy sector’s various segments, midstream master limited partnerships (MLP) have emerged as the top performers this year, with the Alerian MLP Infrastructure Index posting a 5.6 percent return. In contrast, the other energy indexes that have given up ground on the year. This outperformance reflects the ongoing recovery from the lows hit in early 2016 as well as many midstream operators’ exposure to accelerating drilling and completion activity in prolific US shale oil and gas plays. These are volumetric growth stories, as opposed to ones that hinge on significant upside in commodity prices. Industry heavyweights such as Energy Transfer Partners LP (NYSE: ETP), Plains All-American Pipeline LP (NYSE: PAA) and Williams Partners LP (NYSE: WPZ) have also made progress on tackling their balance sheet issues to varying degrees through distribution cuts and restructuring transactions. Enbridge Energy Partners LP (NYSE: EEP) looks like the next name to go down this road. 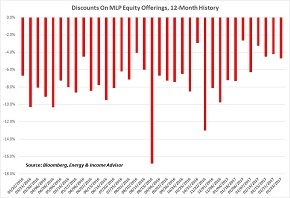 When MLPs sell off precipitously as they did in late 2015 and early 2016, the corresponding increase in distribution yields results in a higher cost of capital that impedes future growth. 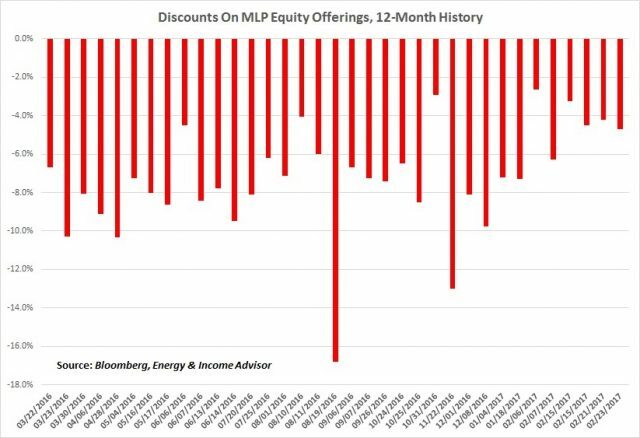 Fortunately, MLPs’ ability to access the equity market has improved in early 2017, with the discounts on overnight offerings narrowing perceptibly. In recent weeks, even small fries such as Martin Midstream Partners LP (NSDQ: MMLP) and NGL Energy Partners LP (NYSE: NGL) have priced stock offerings at discounts of less than 5 percent. Improving investor sentiment and demand for MLPs bodes well for the group’s ability to pursue growth opportunities and shore up their balance sheets. Serial equity issuers that depend primarily on drop-downs transactions from their parents arguably stand to benefit the most. However, as we explain in Tune In, Drop Down, investors seeking to build sustainable wealth should focus on names with underappreciated opportunities for organic growth. 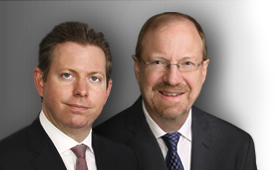 You should also avoid situations where the parent transfers assets at unreasonable valuations to a captive MLP. Not an Energy & Income Advisor subscriber? 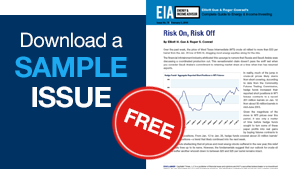 Sign up today to receive instant access to our best investment ideas in the current market, proprietary ratings on every energy-related MLP and our latest report on the best and worst drop-down stories. Still on the fence? 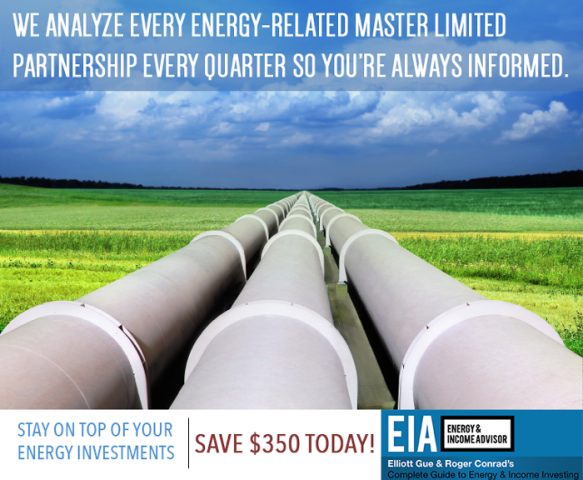 Check out a sample issue of Energy & Income Advisor to see what you’re missing out on.